Illyria House is set in tranquil gardens, and is often referred to as a 'little paradise'. It has become the secret retreat of royalty, heads-of-state and celebrities. Illyria House, a magnificent colonial manor overlooking the historically rich city of Pretoria, famous for its beautiful Jacaranda trees, welcomes you to an unforgettable stay. Set in tranquil gardens abundant with bird life, Illyria is often referred to as a 'little paradise'. Upon entering the ornate wrought iron gates, an ambience of poetic beauty and romance unfolds. 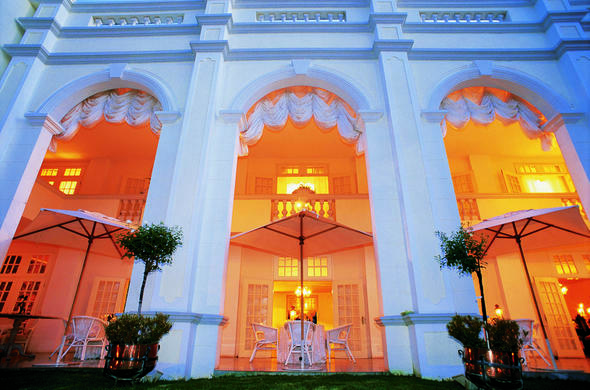 As one of the most sought after elite hotels in Africa it is no wonder Illyria House became the secret retreat of royalty, heads-of-state and celebrities. With only 6 en-suite double rooms, unrivalled personalized service, your own personal butler, exclusivity and luxury are assured at Illyria House. After relaxing in the jacuzzi or sauna, enjoy a beauty and wellness treatment of your choice at the Aquarius Wellness Spa in the garden. Treatments include massages, facials, grooming of the hands and feet, body treatments, waxing and tinting.